We’re just going to come right out and say it. There are few operations as honest and credible as Videoslots Online Casino.Licensed and regulated by the UK Gambling Commission, Malta Gaming Authority and the Government of Curacao, this site is independently audited for fair payouts and provides complete transparency when it comes to odds. It’s also a haven for online slots players, with more than 2,000 titles, including high roller slots, from all the big developers and a decent welcome bonus to get you going. Established in 2011, Videoslots Casino is one of the most exclusive casinos online thanks to its impressive collection of gaming options. Let’s see what magical gaming delights Videoslots has to offer. Open a new player account with Videoslots and you can look forward to 100% match deposit and 11 free spins to get you started on the slots, no matter your deposit size. All the winnings from your welcome spins are free from wagering requirements and the casino hasn’t imposed a maximum on how much you’re allowed to withdraw. The 100% match bonus rewards your very first deposit and increases your bankroll with up to $/€ 200 in bonus cash. Your bonus is instantly activated when you make your first deposit and your winnings may be withdrawn as soon as you’ve wagered the deposit amount 20 times in seven days. Your bonus funds will be paid out in 10% increments. Videoslots casino knows how to look after existing members, too. There are plenty of ways to enjoy bonus benefits from the likes of the Casino Races and, especially, the popular Casino Weekend Booster. All bests you place during the week accrue towards your weekend booster bonus. You can then look forward to bonus funds with no wagering requirements that you can withdraw or use to carry on with the gaming fun. Participating in the casino races is an excellent way to win big rewards. The prize pool amounts to $/€ 60,000 and is shared between the top 6,590 players who enjoyed the most slots action during a week. You get cash prizes free of wagering requirements and if you play more often, you stand to win some seriously big prizes. The races take place each week and you get to spin the reels for as little as $/€ 0.20 per spin. All spins over $/€ 0.20 earn points and bets over $/€ 1 earn double points towards the leader board positions. Winners are credited with their cash prize on a Monday. Progressive jackpots aren’t included in the promotion. Videoslots Casino has done well to cater for an international gaming audience and that means there is a phenomenal amount of reliable and trusty banking methods to suit your deposit and withdrawal needs. All your banking information is secured through 256-bit SSL encryption which means you can relax and concentrate on winning. Currencies accepted at Videoslots include NZD, CAD, EUR, GBP, SEK and NOK. The minimum deposit amount at Videoslots is $/€ 10 while the minimum withdrawal amount is $/€ 20, and the maximum withdrawal is $/€ 30,000 per month. The casino imposes a 12-hour processing time for withdrawals, which is rather speedy compared to many online casinos out there. 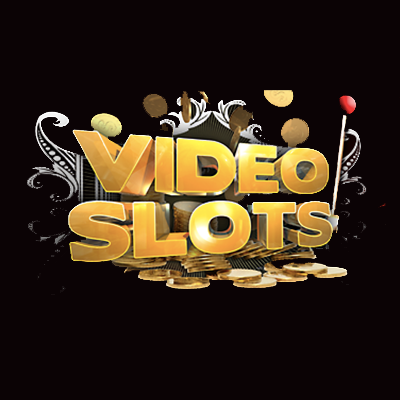 We said in the beginning that Videoslots is a slot over’s paradise, and we’re not kidding. The online casino has partnered up with a massive selection of top-notch software providers to bolster their gaming portfolio. While the majority of games are powered by Microgaming, you will still find a huge selection of titles from the likes of Genesis Gaming, ELK, 2By2 Gaming, CryptoLogic, Quickspin, NetEnt, Push Gaming, NextGen Gaming and a handful of others. Besides the enormous menu of games, the user experience at Videoslots Casino has been beautifully optimised for slot players. Besides clearly listing payouts for popular titles, there’s a bar at the bottom of the site that tells you all about popular titles and new releases. The games are nicely categorised and displayed on the homepage, too, all according to your preferences. What we must say is that there is a lack of some popular products like poker and sports betting. But, what they lack in those arenas, they more than make up for in the collection of over 2,000 slots. Nothing quite beats a live dealer experience. It’s all the thrills of a land-based casino – in your pyjamas! Videoslots does not disappoint on the live dealer front. The live side of things is powered by NetEnt, so you know you’re in for an exceptional gaming experience. NetEnt live offers Blackjack and Roulette, both standard and the Common Draw variety. The games are all streamed live from NetEnt’s studio in Malta and you can chat to the dealer as you play. NetEnt has always been a game changer in the live casino arena and knowing that players get fed up with out of sync audio and lagging video feeds, it’s implemented top-of-the-range technology to bring you an experience as close to a real casino as you could possibly find online. The live roulette has been designed with a mobile audience in mind and sports a user-friendly interface, HD video and crystal-clear audio. When playing from your mobile device, you can select different views to watch either the video stream or the felt, and you can play in portrait or landscape mode. You can even place bets during the spin thanks to the seamless integration of video and audio, and there are 6 roulette tables to choose from. As for live blackjack, you can enjoy table statistics, on-screen history and dealer interaction right from the get-go. Be sure to try the Common Draw table that accommodated an unlimited number of players so nobody has to miss out. 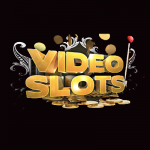 Videoslots online casino has been optimised for both instant play and mobile. While there is no dedicated app to download, you can quickly and easily run the games right in your browser. There are over 500 games for mobile, including video slots, video poker, table games and scratch cards, and many are available to play in free mode without having to register an account. Videoslots is operated by Panda Media Limited, a company registered in Malta. The company, and therefore the site, is licensed and regulated by the Malta Gaming Authority, the UK Gambling Commission and the Government of Curacao. Videoslots Online Casino proudly displays the eCOGRA seal of approval and monthly reports are available that offer a detailed review of the payout percentages and transparency of the casino. The reports are available to players who wish to go over them. As for security, Videoslots makes use of advanced fraud management software from Risk Sentinel to protect you from fraud and all transactions are processed by Panda Media Limited. No information is made available to third party companies and is always treated with the strictest confidentiality policies in place. All the banking options available at this casino are trusted and reliable names and use SSL encryption technology to keep your details safe and secure. There’s both good and bad news about Videoslots Casino’s customer support. The good news is that the Live Chat and general support is available 24 hours a day, 7 days a week. The bad news is that you can only access customer support via the online casino. Okay, that’s pretty standard, really. But, if you have some sort of emergency and an email just won’t do, there is a call back system where you can give the support team your number and they promise to call you back within 10 minutes. Videoslots Online Casino has become one of the most popular gaming destinations for slot lovers around the globe. It’s been quick to earn the respect of its industry competitors thanks to its ultra-efficient member services like super-speedy payouts, reliable 24/7 support and strict privacy policies. Players can enjoy one of the largest gaming selections available in the online casino world, complete with the very best games from a huge list of trusted and talented casino software developers, with new additions added to the already extensive gaming collection on a regular basis – often daily. There are progressive jackpots, live dealer games and a well-optimised site which means you can have all the fun on-the-go, too. The selection of highly enticing promotions simply adds to the entertainment value at this online casino and weekly tournaments make for friendly and enthralling competition, with massive payouts and no wagering requirements on bonuses to boot, with up to $/€ 60,000 in prize pools shared out amongst tournament participants. Mobile players can enjoy all the same bonus benefits and all the games are offered in instant play, with many available in free mode to try before you play for real money. The mobile site is flawless which means exceptional graphics, animations, sounds and gameplay whenever you need it, wherever you may be. The sheer volume of banking methods coupled with reliable support every day of the week, all day long makes for a truly competent and trustworthy online casino operator. Videoslots’s catchphrase is “play more to win more” and they do back this by offering all their players up to 25% in cashback every single week. This is the home of video slots. There are over 2,000 titles to try and that means you’re never going to get bored. Don’t believe us? Sign up today, grab that welcome bonus and see for yourself!